MINIONS are back! 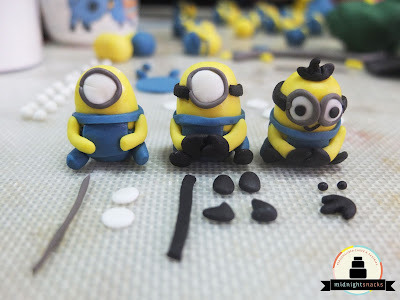 Thanks to the movie released a few days ago, we're back to making these tiny yellow fellows. 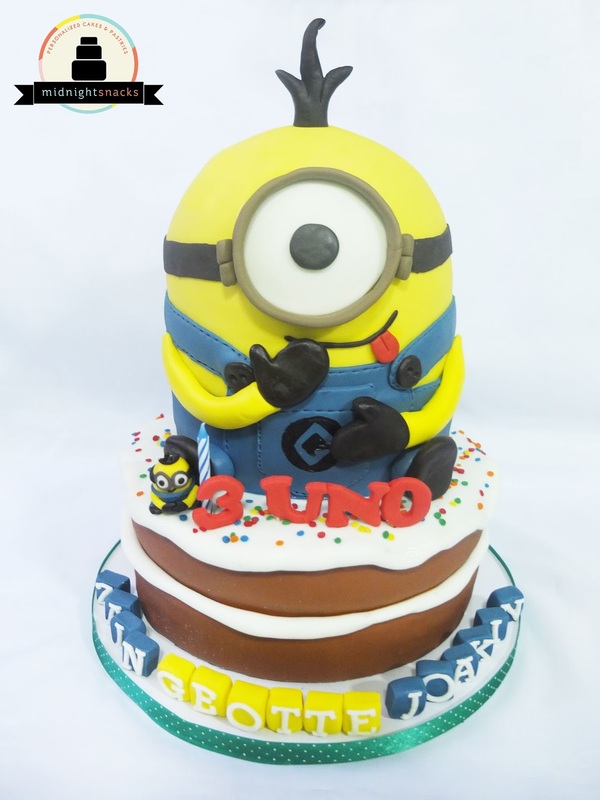 Minions/Despicable Me has been one of the top most requested cake/cupcake themes by our clients ever since the films came out. Now, our numbers of pastries with this design has increased once again! 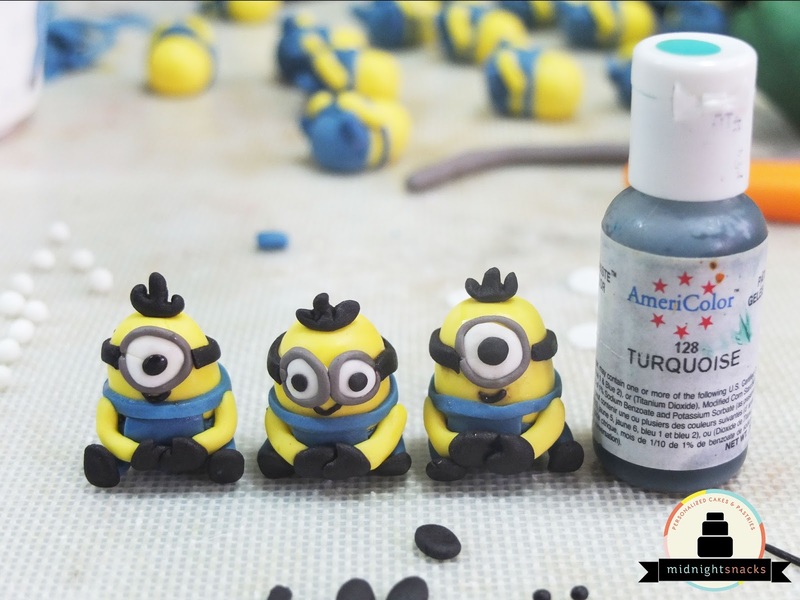 Making 3D toppers for cupcakes that would fit in an individual packaging is a common issue for most bakers. 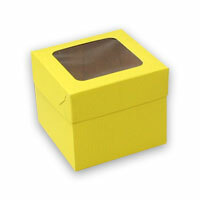 I had a few times before that i've made a large topper for a cupcake and totally forgot about considering it's height to fit that tiny box. Shape your yellow fondant into balls and gradually form them into small ovals and start making the arms as well. It's work from color to color to avoid washing hands from time to time. 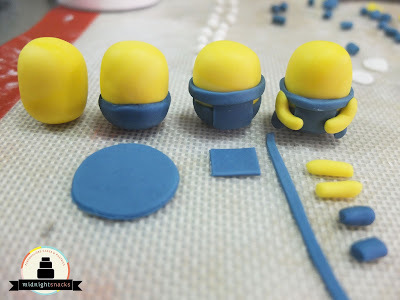 Cut out blue fondant parts and start assembling using your brush and water. Start adding the eyes, the frame of their glasses and most of the black parts and assemble. Once all the parts are complete, let them set in a cool dry place. I took a photo beside the gel coloring to show the size. It's around 1-1.5 inches tall. A Great Morning with Nestlé Wellness Expo!